We use only the most advanced materials and cutting-edge craft, to ensure complete safety. At TOMANTEK, we believe in our products. Every sale includes an 12-month, 30 day money back guarantee to prove the highest quality standards. [Precisely Fit]: External dimensions: 14.1 x 10.4 x 0.9 in, Internal dimensions: 13.4 x 9.8 x 0.8 in, Suitable for most 13-13.3 laptop for ACER, APPLE, ASUS, DELL, HP, LENOVO, SONY, SAMSUNG, TOSHIBA and more. [Slow-recovery Foam]: 6mm High-density slow-recovery sponge safeguards against any potential damages. [Optimized for Carrying]: Slim-line and light weight design allows this case to be carried solo or fit in your favorite bag. [Shockproof & Water-resistant]: Water-resistant neoprene material and waterproof zipper offers superior protection. 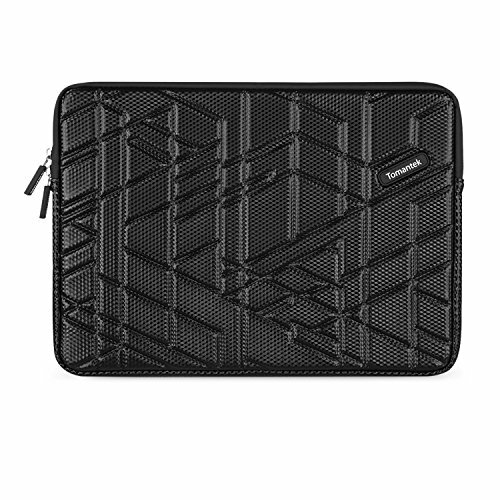 Protects laptop from dust, shocks, bumps, scrapes and scratches & spills. [Warranty]: 1 Year Warranty, 30 Day Money Back Guarantee. If you have any questions about this product by TOMANTEK, contact us by completing and submitting the form below. If you are looking for a specif part number, please include it with your message.